Our era’s dominant narrative focuses lavishly on gays, who are portrayed as society’s powerless victims. Yet gays themselves don”t find the party line very interesting. They like to picture themselves as culturally dominant. For instance, if you spend any time online researching the entertainment industry’s history, you”ll notice that a large fraction of writers on the topic are homosexuals who often emphasize that practically everybody of any importance was gay. How can they tell? They pride themselves on their acute gaydar. Anybody who fits any gay stereotype is claimed for the clan. Checking out these claims and insinuations is highly time-consuming and uncertain, but there is now a way to at least rapidly measure public perceptions of celebrities using what I call Google Gaydar. We can use the rank order of Google’s prompts to quantify what Mickey Kaus called the “Undernews” back when only the National Enquirer dared report on presidential candidate John Edwards’s illegitimate baby. The Undernews is that vast realm of gossip, speculation, slander, daydreams, misinformation, disinformation, intuition, and unwelcome fact too disreputable for the respectable press. Figuring out what is true and what is false in the Undernews is still labor-intensive, but we at least have a tool for quickly measuring it. As a movie reviewer, I”ve noticed over the years that many people have extremely strong opinions on which actors are gay and which are straight. This makes up a noticeable fraction of the Undernews. I realize the Undernews can be distasteful. 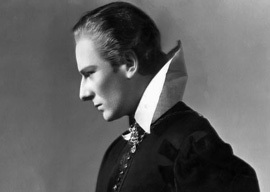 For example, Sir John Gielgud died in 2000 at age 96 after a lifetime of acting triumphs, from playing Hamlet on the West End stage at age 26 to winning an Oscar as the definitive valet in Arthur 52 years later. Yet if you go to Google.com, type “John Gielgud,” and hit the space bar, the foremost prompt is “John Gielgud gay.” He spent three quarters of a century devoted to his craft (including perhaps the most astonishing short performance in television history in Brideshead Revisited), yet what the Googling world finds most intriguing is “John Gielgud gay.” What could be more interesting about Sir John than his 1953 arrest in a lavatory? My general opinion is that most movie and TV stars are good at playing Let’s Pretend, so many guesses about their orientations are overconfident. On the other hand, the art of casting consists in large measure of noticing those aspects of actors” personalities most accessible to their art, which means that the underlying man matters. Thus Neil Simon’s The Odd Couple works with Walter Matthau (movie version) or Jack Klugman (sitcom) as slovenly sportswriter Oscar Madison and with Jack Lemmon or Tony Randall as fussbudget Felix Unger. As skilled as these expert actors were, reversing the casting would only work as a stunt. In contrast, type in “Kevin Spacey,” and the word “gay” is immediately proposed as the single most efficient suggestion to finish your search. So Spacey gets a 100. It could be that these public perceptions of Bill Murray and Kevin Spacey are completely backwards. It’s important to stress that this Google Gaydar scale doesn”t measure reality; it merely quantifies what people who care enough about an actor to search his name on Google are interested in finding. Guessing someone’s Google Gaydar score is rather like that TV game show Family Feud where the winners are those who think most like the consensus of the studio audience, no matter how vulgar or ill-informed the audience may be. One difference from Family Feud is that Google prompts are self-selected. Only the interests of people who care enough about Kevin Spacey to type his name into Google get counted.